Well, here it is, the Nilgiri Wood Pigeon, another commonly found and photographed bird in this region. 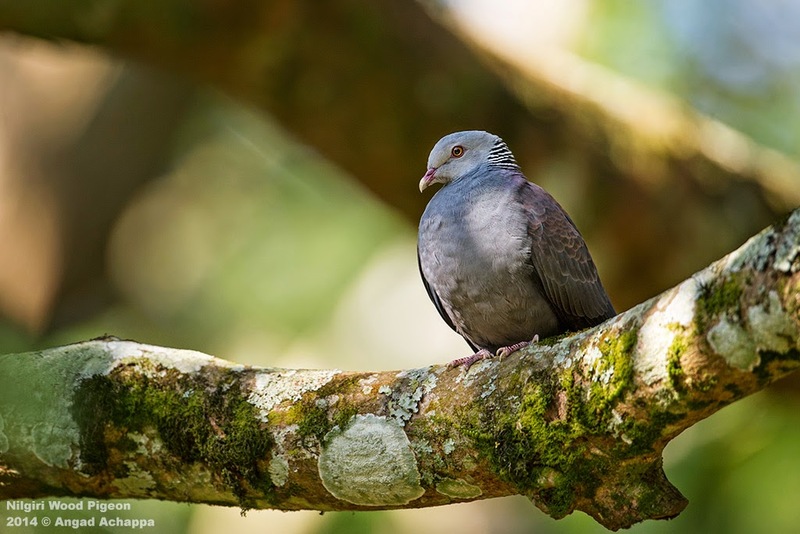 The Nilgiri Wood Pigeon, Columba elphinstonii , is a large pigeon found mainly in the Western Ghats and Nilgiri region of Southern India. They are mainly frugivorous, i.e, their diet mainly consists of fruits. They have a distinctive checkerboard pattern on the nape. 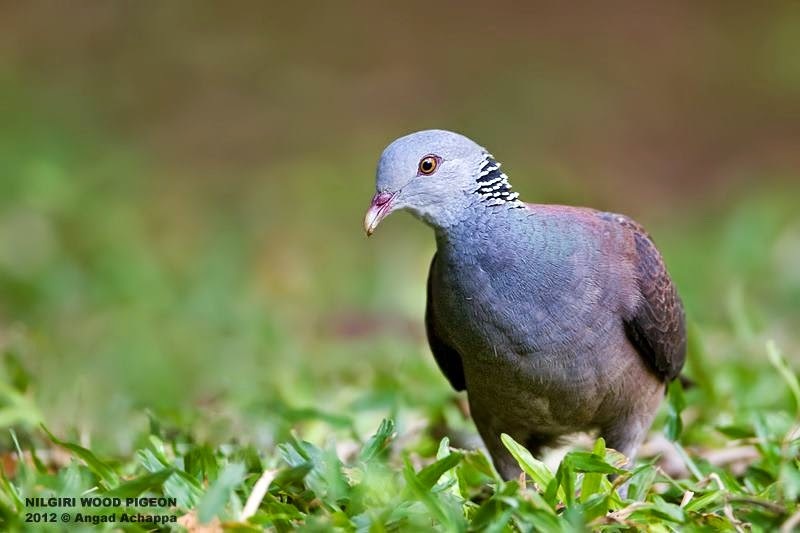 They are closely related to the Ceylon Wood pigeon and the Ashy Wood Pigeon. They forage singly or in groups usually up in the fruit trees, but are seen foraging on the ground for fallen fruits as well. They play a vital role in dispersing seeds of the fruits they consume. Awesome wild photography on your blog i like these picture of your blog.